With 8 championships & 16 blue ribbons, Invasion is one of the top full Accoyo colored herdsires in the country. 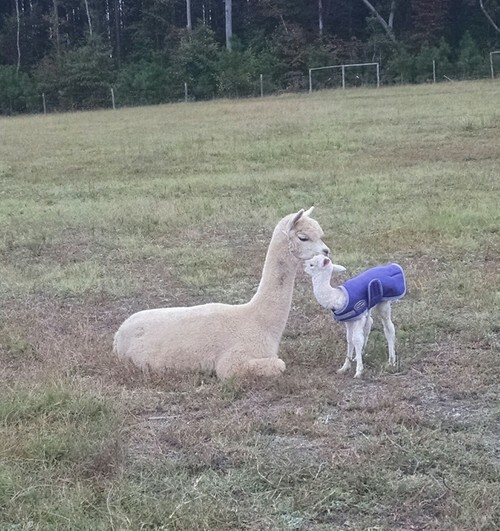 With 13 champion cria, it has become clear that Invasion is passing on his elite fleece characteristics to his offspring. 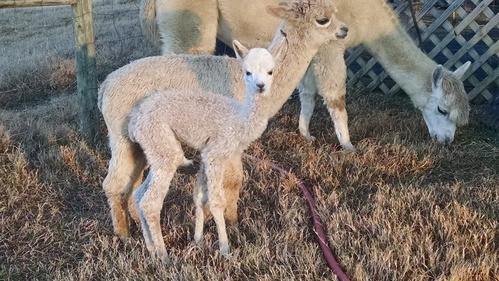 Invasion is adding outstanding crimp, color, density, brightness & well respected lineage to his cria. Fawntasia is owned by Virginia Smith of Pizzazz Alpacas and she's offered here for sale exclusively by Close-Knit Alpacas as part of its unique alpaca sales program, The Secret Meadow. 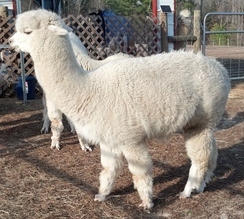 She may be purchased individually, or as part of a "package" with other alpacas in the Meadow...your choice! 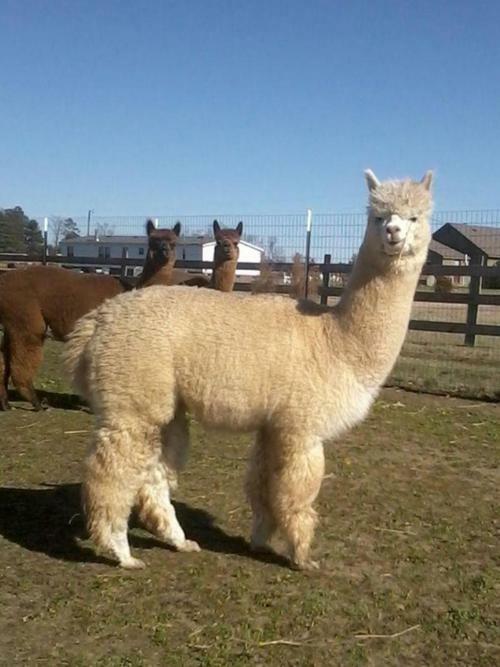 Hope is a graceful,lovely near full Peruvian (she has one great-great granddam who is not listed as Peruvian) proven female who boasts of lineage from Snowmass Legacy Gold, 4Peruvian Legacy, PPPeruvian Augusto, 6Peruvian Accoyo Amelia and PPPeruvian Pisco Sour. Hope is a very nice foundation female. Her first cria, a female out of Superstition's White Magic, is equally lovely and took after her mom with long staple length, luster and crimp. 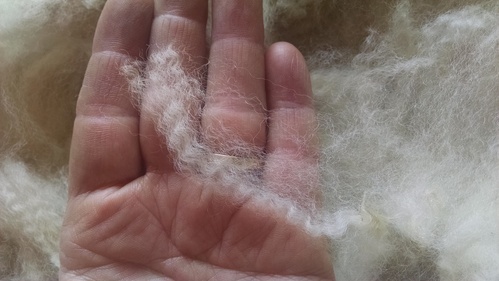 Hope produces a heavy fleece with a superb staple length, nice character and acceptable micron. Her fleece has remained consistent. When I had it spun into finger weight yarn I was pleasantly surprised by the large quantity of produced skeins and the minimal amount of discards. A very nice consistent and marketable product. I would love to keep her on my farm, but I am changing breeding strategies. She is an affordable alpaca with a great lineage for a starter herd. She is also up for trade. We can work out financing term to meet both our needs.